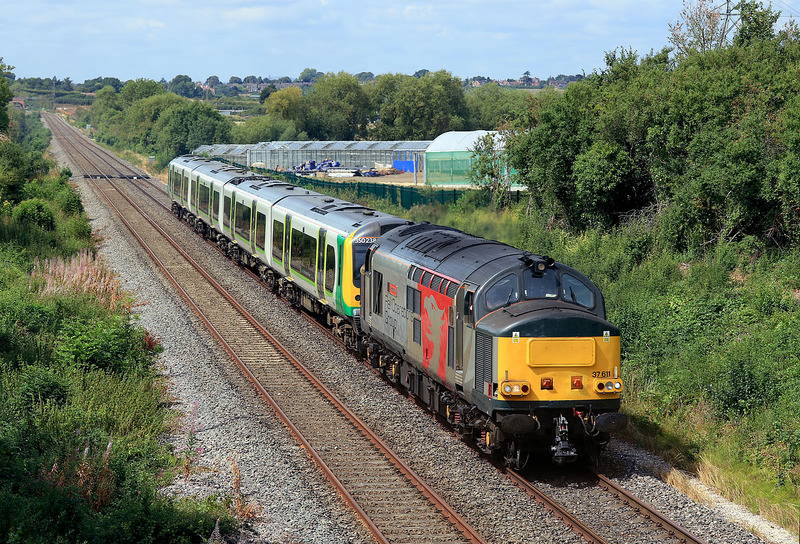 37611 Pegasus passes Badsey on 4 August 2018 with the 5Q94 08:52 Northampton EMD to Long Marston, hauling EMU 350238 for corrosion repairs. This is the last of the Class 350/2s going to Long Marston for such work. The sun had been very weak and hazy until just before this came, but obligingly came out at full strength just in time.